I just wanted to share with you some fab storage boxes I got from TK Maxx. I was drawn in by the really pretty floral prints, but I did actually need some new storage for my extra beauty products and these work great for organizing products I need to try out or photograph for blogging! I thought these were fairly reasonably priced. The large trunk was £12.99 and the large flat box was £9.99. The mini trunk shaped box is something I'm going to use for keeping small odds and ends like hair bands and clips and that was £7.99 I think. I also bought something from the storage aisle for my friend as a birthday present - this is a jewellery box, but you could put lots of different things inside. It was £15.99. I thought this was really pretty and decided to make a feature of it for the present, so I made sure all of the other presents were small enough to fit inside the draws and presented it like this. What do you think? As you may have noticed, especially from my Instagram posts, I rather like my naughty food. In particular, I like unusual naughty food, especially sweeties from overseas. Cybercandy is a site I've known about for a long time - it was one of the first places I found where I could buy fab things I'd tried in the USA such as Reece's pieces and Hershey's kisses. These days you can get a few of these standard items in supermarkets, but Cybercandy make the really hard to find items accessible - they sell coconut M&Ms! It's not just food from the US though, Cybercandy have sent me a Swedish treat to try out - this is Plopp! Despite the slightly ironic and unfortunate name, Plopp is really nice! I've never seen anywhere to buy this before, and I've never been to Sweden so I'd not heard of it. I love trying new things, so the boyf and I had good fun testing this out. Plopp is a chocolate bar filled with white truffle and raspberry jelly - it's completely different from the usual chcolate bars we get in the UK. You can get Plopp and lots of other lovely treats from Cybercandy here. Delivery is fast and the box it comes in says "Om nom nom" on the side. What more could you want?! What's your favourite chocolate or candy from outside the UK? Beauty blogger tips part 3: What should I write about / how often should I blog, and how do you stay organized? This is part three in my series of beauty blogging tips for new bloggers / people thinking about starting up. Catch up with the earlier posts here - part 1 and part 2. First of all, you should write about whatever you want, because it's your blog! You will find as you go along that some types of posts may be more popular with your readers than others, and you'll work out which posts you most enjoy working on and what suits you. I think you should try to be original - it's okay to take inspiration from other bloggers, but it's not cool to out-right copy someone else's words or images - unless they're offering the idea as a tag of course (I'll explain that below). We all have times when we can get a bit of blogger's block and need some new ideas or inspiration, so I've listed below some common types of posts which I see a lot of bloggers doing, and some of them are ones I like to do myself too. Wordless Wednesday - this is when bloggers post a picture of something fun / interesting / something they like and don't really write much about it. It's just about sharing something and it's a fairly quick and easy post to do. I like seeing these, but don't really do them as I like to post images I like to instagram and tumblr. Monthly favourites - I really like doing a monthly favourites post showing all of the beauty products I've been loving that month. I don't always manage to get these done all of the time but I do enjoy doing them. It's also a good way of giving a mention to a product I like, which I may not have gotten around to doing a full blog post about. Most people do these at the end of the month. Monthly empties - a lot like monthly favourites, but you show the products you've used up. I'm not very good at remembering not to throw things away when I've finished them, so I don't often do these posts. I like reading them though, as if someone's finished a product they've given it a thorough test, so I would really trust their opinion on it. Wish lists - I tend to do wish lists when I'm trying to save and not buy too much - it's a bit like window shopping where you just show things you would like to buy. I also do wish lists about what I'm hoping to get for Christmas and Birthdays, or things I'm planning to buy for a holiday etc. Shopping the stash - I think this type of post started at the sunday girl which is a blog I really love. In these posts Adrienne picks out forgotten or rarely used products from everything she owns to use that week, and blogs about it. If you own a lot of makeup it's a really good way of rotating what you use everyday instead of always using what's newest or closest to hand. Tuesday tips - I first saw this from Gem fatale - it's a frequent feature where she gives a tip about beauty, or it's a DIY or money saving type idea. I really like these types of post and like picking up other people's tips and tricks. Nails of the day - this is exactly what it sounds like - showing the nails you're wearing today. It could be just a coloured polish or some nail art you've done. I always like seeing other people's nails and tend to do a NOTD any time I buy a new nail polish. One of my favourite blogs for NOTD and nail art posts is do not refreeze. 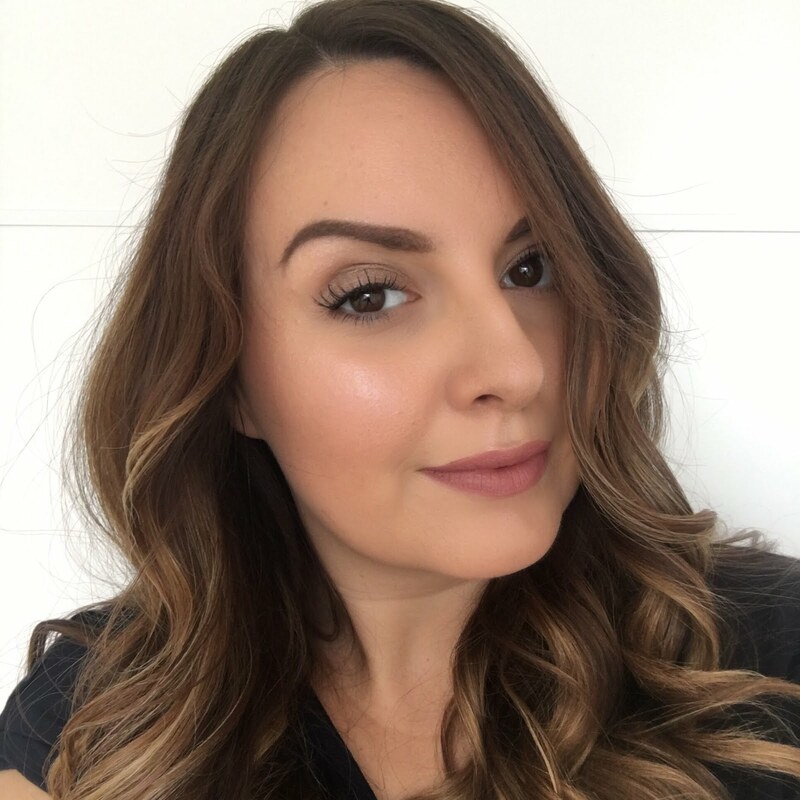 Face of the day - in these posts there's usually a close up of a makeup look and the blogger will then list the products that they used. I really enjoy these posts as I'm nosey and like to see how other people do their makeup. It also gives me ideas for looks I might want to recreate and products I mike like to buy. I really like the FOTD posts by glimmer and glow. Outfit of the day - Just like seeing what makeup people have used, I love snooping what they wear too. I always want to do OOTD posts myself, but haven't got around to working out the tripod and background situation yet (the boyf does not make for a very patient photographer). Some of my favourite bloggers who always post their outfits are llymlrs and vipxo and media marmalade. What's in my basket / hauls - if you watch you tube videos, you'll see a lot of people doing a 'haul' which is basically showing things they have bought or perhaps were given for their birthday / Christmas. Bloggers do the exact same things by showing photos and writing about what they 'hauled'. I'll sometimes do a haul showing actual photos of things I've bought, or sometimes if I've just done an online order, I'll share what I bought using images from the sites. I like watching hauls on you tube, but I don't like that they can get a lot of hateful comments and the youtubers can get accused of showing off. You tube is a scary place in my opinion - I like watching videos, but I think you have to be pretty brave to make them! I love seeing what Laura from buy now blog later has bought. Week in pictures / instagram posts - I've seen some people saying these are now 'over done' but I like them and have been doing them for several months. I love instagram and check it several times a day (perhaps that's a little obsessed?) and I follow loads of bloggers on there. Doing a week in pictures post is a great way of adding a little about your personal life to your blog, which I think a lot of readers like so that they can get to know you better. It's not for everyone though - I know some people are more private than this, and that's fine - each to their own. These are the little updates posts I do every couple of weeks. Tags - there are lot of different types of tags around, and I did a few when I was a new blogger. Tags are usually a list of questions you answer about yourself or your favourite things, and then you tag others to take part. Here's an example from Becca's fashion and life. Also a new tag I've seen recently from one of my favourite bloggers is 7 things for 7 days from Sprinkle of Glitter which lots of people are getting involved with. There are also tags which come up again and again because they're popular, and you don't really need anyone to tag you to do them - I'm thinking of ones like 'what's in my handbag? ', 'what's in my makeup bag?' and things like 'how much does my face cost?' where you would add up the cost of all of the products you would use on a daily basis - it might shock you! There are also challenges like '£20 drugstore makeup challenge' where you would do a makeup looking using products which in total cost no more than £20. So those are some of the types of post I really like reading, and then of course there are product review and swatches posts, which are probably the most common beauty blogger posts. I also really like 'collection' posts too, such as when someone shows all of their Mac lipsticks, or all of their Models Own nail varnishes. I like seeing colours compared to each other - it helps me decide which ones I like. I keep meaning to get around to doing a Mac lipstick collection post myself - here's one from Secrets behind the closet door. There are loads more types of posts out there, and you'll come up with your own ideas too. I also like posting about days out I've had, or recipes for baking cakes, showing new shoes etc. The important thing to remember is that it's your blog and there are no rules, so write posts you enjoy putting together. If you're looking to grow your blog in terms of traffic and followers, it can be a good idea to monitor which of your posts are the most read to give you an idea of what has been popular. You can do this through looking at your stats, and an easy way to keep an eye on this is to have a 'popular posts' widget on your blog which will display your most read posts. I have one in my right sidebar. You should post as often as you feel able to. For the majority of us, blogging is a hobby and you shouldn't feel under pressure to post. I think I put together the best posts when I'm blogging just because I enjoy it, rather than forcing myself to come up with something. Having said that, if you leave huge gaps between posts, you may lose your connection with your audience, and some readers may stop following all together. A lot of people who read your blog will come to look at a new post when they are informed that one's there (ie through the way that they subscribe to you). If you've not written any new posts lately, your blog won't come up in their feeds and they might forget about you, so I think blogging once a week is probably the minimum if you're interested in building traffic and followers - more about that in the next installment. For me, the amount I blog has changed over time. The more I've enjoyed blogging and gotten into my stride, the more frequently I've blogged. I now aim to blog every day, but I don't beat myself up if life takes over and I miss a day sometimes. Did you know that the time of day you publish a post can effect how many of your subscribers see it and read it? I've noticed that there are times of day which seems to be more popular for readers to be around for looking at posts. I haven't worked this out completely, but I've noticed that if I post on a Friday night, not many people seem to read the post, as they're out doing other things. Posting on a Sunday morning however, tends to get a much better response. Play around with different times and see what works for you. If you've not done it before, have a go at scheduling your posts so that they don't publish right away when you've finished writing them - you can choose the time and date when they will go live. To do this, click on 'post options' which you will see at the bottom above 'publish post' when you're editing a post. Blogging takes up a huge amount of my free time, but it's my hobby and I enjoy it, so I don't mind. I mainly blog in the evenings and at weekends as I have a full-time job. I usually take all of my photos at the weekend when there's lots of daylight and then write my posts in the evenings. I always schedule my posts, usually to go live the next day in the afternoon. If I know I'm going to be away or busy, I'll try to schedule a few posts at once so that I don't have to worry about it for a few days and can concentrate on whatever else it is I'm doing. If I'm going away for longer, I like to invite other bloggers to guest post on my blog. It's a good way of keeping my blog fresh while I don't have the time, and it's a nice way to share the blogs I like with my readers and hopefully sends some new followers to the other bloggers. I'm going to be doing this for when I'm on holiday in September - see the bottom of this posts for details if you're interested in being a guest poster. I really recommend getting an email address just for blog related things, to keep everything separate from your personal email. I then have little folders in the mailbox of my blogging email account to keep things organized so that I know what I'm working on, what's finished and what I need to reply to. I saw a really fab post about a blogging planner the other day and I think I might get one. It was on city scape bliss and she showed the planner she had customised online with her own choice of sections and layout etc as well as having her blog name and logo on the front. Part 1 - How do I start a beauty blog and what should I name it? Part 2 - What's the best layout, font, style and theme for my beauty blog? 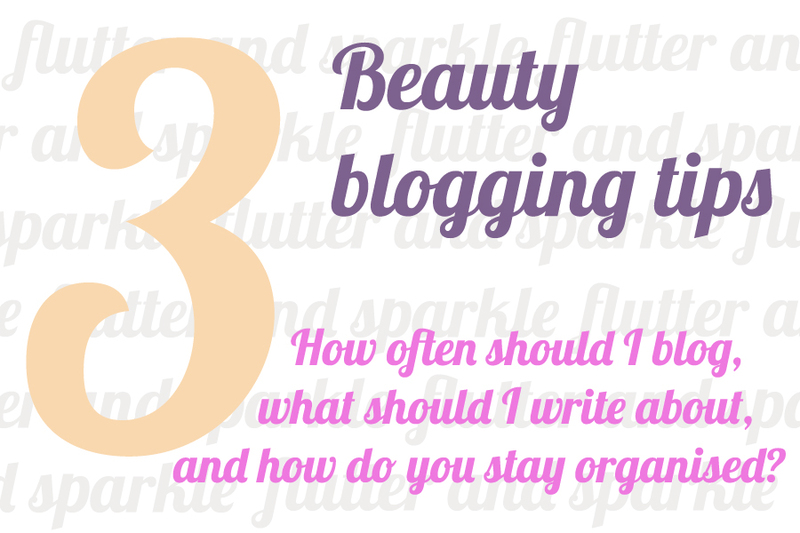 Part 3 - What should I write about on my beauty blog? Part 4 - How do I get more blog followers / traffic and comments on my posts? Part 5 - How do you get PR companies and brands to send you samples for your beauty blog? Make sure you don't miss out on the rest of the series by following my blog in any of these ways - Google Friend Connect, twitter, facebook, bloglovin', hello cotton, or rss feeds. 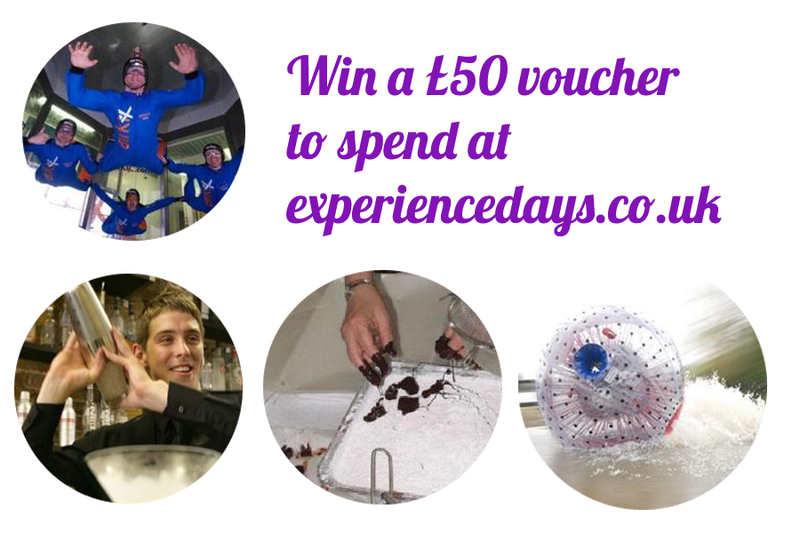 I have another giveaway for you today - you can win a £50 voucher to spend at Experience Days. They have loads of different experiences on the site from things like cooking lessons, driving experiences, cocktail making, makeovers, pamper days and even skydiving and zorbing! You can have a look at all of the different experiences on offer here. To be in with a chance of winning, all you need to do is be a follower of my blog by Google Friend Connect or Facebook. Leave a comment below telling me you'd like to enter and how you're following, and leave me an email address or your twitter name so that I can contact the winner. The giveaway will be open until midnight on 5th August - good luck! Ts&Cs - one entry per person, UK only. To enter you must be a follower of www.flutterandsparkle.com through Google Friend Connect or Facebook. Entries are accepted via the comments form only and must be received by midnight on 5 August 2012. Anonymous entries with no email / twitter name will be deemed invalid as there is no way to contact the winner. Winner will be picked at random using a random number generator. No alternate prize available. This competition is being hosted by flutterandsparkle.com in association with Experiencedays.co.uk. So following my last post about Sweets Way, I'm still sprinkles mad. I've now tried Sugar House Lane, and it's going to be another favourite. In these images I'm wearing three coats of the polish. It applied a little lumpy compared to Sweets Way - it might have been because it was very hot and maybe I need to pop it in the fridge for a bit. I bought the set of three Nails Inc Sprinkles polishes here for £19.68 and £3.95 p&p. The QVC p&p always seems a bit steep to me, but there's no getting around it and it's still a very good deal compared to the usual £11 per polish RRP. 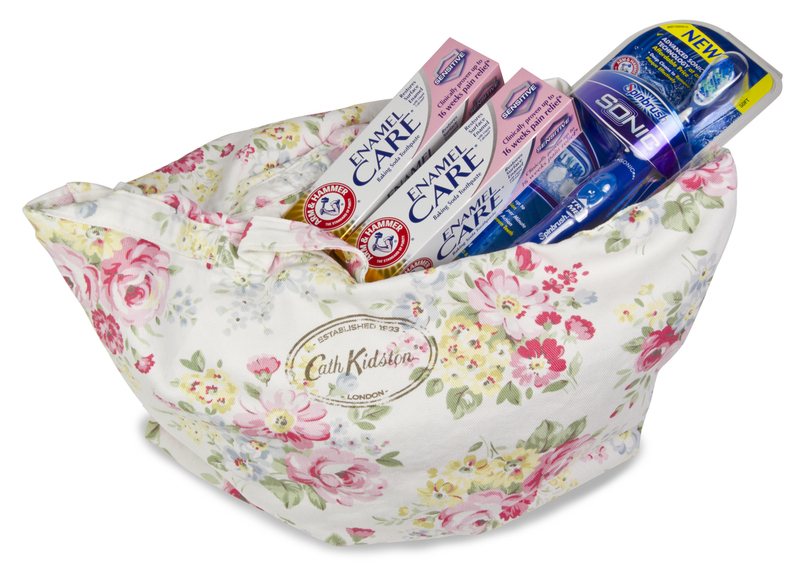 I have a rather fab competition for you today - Arm & Hammer are offering my lovely readers the chance to win a pretty floral Cath Kidston travel bag filled with goodies to make your teeth feel great including the new Arm & Hammer Enamel Care toothpaste and a Sonic Spinbrush toothbrush. To be in with a chance of winning, all you need to do is be a follower of my blog by Google Friend Connect, Facebook or Twitter. Leave a comment below telling me you'd like to enter and how you're following, and leave me an email address or your twitter name so that I can contact the winner. The giveaway will be open until midnight on Friday 3rd August - good luck! Ts&Cs - one entry per person. To enter you must be a follower of www.flutterandsparkle.com through Google Friend Connect, Facebook or Twitter. Entries are accepted via the comments form only and must be received by midnight on 3 August 2012. Winner will be picked at random using a random number generator. No alternate prize available. This competition is being hoster by flutterandsparkle.com in association with Arm & Hammer. I'm one of those people that always gets something in their eye. I think my eyes are just a bit more sensitive than most. Plus when the pollen is bad and I get a little bit of hayfever, my eyes feel itchy and uncomfortable, so I jumped at the chance to try out a spray from Optrex for tired and uncomfortable eyes. Unlike eye drops which can be difficult to get in your eye - I normally get the drops down my face instead - this is a spray which you use with your eyes closed, so it's pretty much foolproof. You just have to make sure the nozzle is facing the right way before you close your eyes and spray! I didn't really understand how this was going to work considering you use it on closed eyes, but it really makes a difference. I tend to spray it on both closed eyes at once and then keep my eyes closed for a few seconds while the cooling sensation penetrates my eyes and makes them feel comfortable and refreshed. The spray mist works by repairing and replenishing the natural moisture barrier in your eyes. This is going to be staying in my handbag for any time when my eyes are feeling itchy or dry as it instantly sorts them out, and for times when I have to work late and my eyes feel tired and sore from staring at my PC all day. It doesn't mess up or smudge eye makeup either, which is a bonus for me. Optrex actimist 2 in 1 eye spray costs £15.99 and is currently on buy one get on half price at Boots. Get ready for a picture overload - I'm just too excited about the long awaited Nails Inc Sweets Way which finally popped through my letterbox this morning. I first saw this polish when I went to a Nails Inc event a few months ago and I fell in love. I could have ordered it from Nails Inc as soon as it came out, but something held me back - the fact that I didn't want just this polish, I wanted the whole sprinkles polish collection and as they're four of them, my basket added up to a hefty £44, which is a little much to be splurging on nail polish when you're meant to be saving up your holiday spending money. Apparently good things come to those who wait, and wait I did for QVC to bring out the sprinkles polishes in a set. I posted the other day about their special value set and the sprinkles set which I bought. It didn't have all four colours, but it had three and a big discount and it included my absolute favourite Sweets Way, so I was a very happy bunny and ordered right away. Sweets Way and I have a special thing going on. I've not been able to stop looking longingly at my nails all day long, especially as I've been outside and this polish literally twinkles in the sunshine. My camera just can't do it justice. It's a very pale blue polish with white, blue and rose gold glitter and it's amazing. I urge you to get it in your life and on your nails! In this images I'm wearing three coats of the polish. It was fine after two, but I couldn't resist adding another just for fun. And I have topcoat on. Expect more sprinkle polish love soon as I have two more of the beauties to play with. The sun's shining and it's time to get the legs out, so some at-home de-fuzzing was in order for me this weekend. It was the perfect time for me to try out the Veet Easy Wax electrical roll-on kit. In my early teens I was completely scared of waxing. I thought it would hurt like mad. It didn't help that my Mum used to wax her legs at home with a microwaveable wax which used to get so hot that she'd be yelping as she applied it. Luckily things have moved on since then, and waxing at home is a much more painless experience. The Veet kit I tried out comes with a machine to heat the wax to the perfect temperature, so there's no chance of getting it wrong and scalding yourself. You insert the wax cartridge into the Easy Wax holder and plug it in. In 20 minutes, it's warmed the wax enough to make it roll on easily. It comes with one wax cartridge which is enough for four waxing sessions, plus the fabric waxing strips and soothing wipes. As you can see, the wax is pink, which I loved. I know it's sad, but it seemed so much more fun with pink wax than if it had been a boring yellowy wax sort of colour. It also makes it very easy to see where you've put the wax and any bits you've left behind. Honestly, this doesn't hurt. I really built up in my head when I was younger this irrational fear of waxing and spent years shaving all the time before I built up the courage to try some waxing. I actually find ripping the strip off quite satisfying, but maybe I'm a bit weird. The kit also comes with special wipes which soothe your skin after waxing and clean off any excess wax - because it's really sticky it wouldn't come off so easily with soap and water, but the wipe gets it off no problem. I actually got a bit of wax on my carpet (wasn't looking properly and put the wax applicator on the carpet instead of back in the holder) and the wipes got it off really easily. I really rather enjoyed my pink waxing session and I'll get three more uses from this kit before I need to buy one of the wax refills. I saw in the instructions that you can also get wax refills which apply a narrower amount of wax, so they're intended for underarms and bikini line. The Easy Wax roll-on kit costs £29.99 and the refills are £9.99 each and you can buy the range from Boots. Do you wax at home or do you wimp out?! As soon as I saw these chubby little lip pens, I knew I wouldn't be able to resit picking one up. 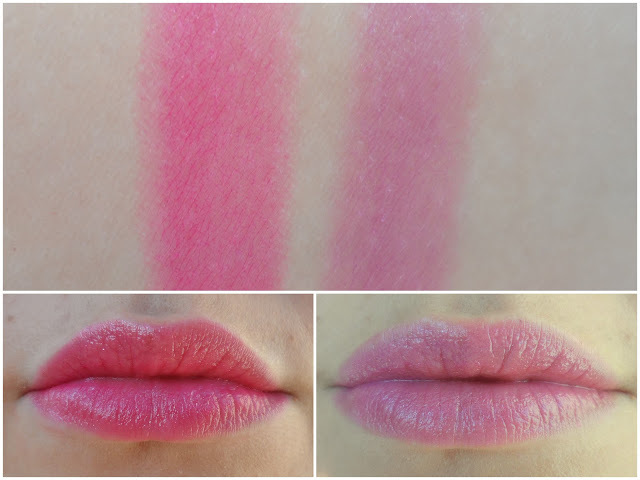 These are the Revlon Just Bitten Kissable balm stains and I picked up the colours Lovesick - hot pink, and Darling - lilac pink. I'm so pleased with these chubby little guys. They apply so smoothly and easily and are more lipstick-like than their lip butter cousins, but still very moisturising and easy to wear. I originally picked out the lilac pink shade on Thursday night when I first got the chance to swatch the colours and by Saturday I'd gone back to pick up a second shade after trying the product on my lips. The colour of these really lasts when being worn, even though the balm may feel like it's disappeared after a couple of hours, the stain remains - more so with the darker shades I think, as Lovesick lasts longer on me. They have a slight minty smell - more evident in the bright pink shade for some reason - and literally glide on. I have a feeling I might become a little addicted to these just like the lip butters, so it's just as well that they're currently on offer at Boots for £5.99. Have you tried these yet? Which colour should I get next? It's been a few weeks since my last 'little updates' post. Mainly because I've been ill with the flu and not doing very much. I've not felt so ill in a very long time - I didn't leave the house or wear makeup for 5 days! Luckily I had some draft posts done which I could schedule when I wasn't feeling up to doing any blogging. I'm feeling much better now although I still have an annoying cough and cold and being unwell has really dried out my skin and given it a nasty rough texture which I'm battling with various products. Here's what I was getting up to before I was struck by germs, and just after. 3 - wearing massive sunglasses as the sun has come back this weekend! I'm going on holiday in September and would love to have some of you to guest post for me while I'm away. I'd love to see posts on anything beauty and fashion related, or some DIYs or recipes too. My only requirements are that you need to provide clear images to go with your post which look okay when displayed as the 'extra large' size on blogger, and that your post is with me by Friday, 17 August so that I have time to get them all scheduled and write intros. My ice cream maker is on buyapowa!